Prentice Mulford was a California philosophical author and noted literary humorist. He was also instrumental in the founding of the New Thought Movement, along with other notable writers, including Ralph Waldo Emerson. Although Mulford was an influential figure in the New Thought Movement, but today his writings still remain somewhat obscure. Prentice Mulford was also known as the pioneer of the The Law of Attraction teachings and is often credited as the first to have coined the actual term within New Thought Context. Prentice Mulford was born in Sag Harbor, New York, and in 1856 he traveled to California where he would spend the next 16 years. During this period of his life, Mulford spent several years in mining towns, trying to make his fortune in Gold, Silver or Copper. He also worked as a school teacher, a cook and a lecturer; he was an observer of human nature and was often described as the 'stangest of men'. Without success, Mulford eventually left the mining life and turned his attention to politics. He ran for a position on the Calfifornia State Assembly in Sacramento, and although he was nominated, he did not win the election. He returned to San Francisco and began writing for a weekly newspaper called, The Golden Era. Mulford spent about 5 years as a writer and editor for various papers and was referred to as a "Bohemian" by many San Franciscan due to his disregard for money. In his own autobiography, Mulford stated "Poverty argued for us possession of more brains". He also became well known for his humorous writing style and vivid descriptions of both the mining life as well as life at sea. He wrote many interesting and imaginative articles and was a fixture in many literary circles along with the likes of Harte, Twain, and the Bohemian set in the 1860's. In 1865, Prentice Mulford became interested in mental and spiritual phenomena. It was around this time that Mulford was living in an old whaleboat cruising the San Francisco Bay. After returning from a trip abroad, he would spend the next 17 years of his life as a hermit in the swamps of Passaic, New Jersey. It was during this time that Mulford would write some of his finest works on the spiritual and mental laws, including "The White Cross Library" dealing with the topic of Thought Currents and how to use them. 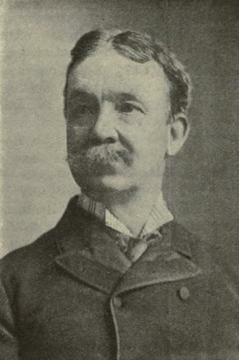 In 1872, Mulford travleled to New York City where he would become known as a comic lecturer, author of poems and essays, and a columnist for The New York Daily Graphic from 1875 to 1881. He also assumed the editorship of The White Cross Library, a monthly magazine at this time. At age 57, Prentice Mulford decided to plan a trip cruising the New York Bay in his sailing boat (named the White Cross), and planned to return to his birthtown of Sag Harbor. Shortly after embarking on his journey, Prentice Mulford passed away alone in his boat en route. After 30 years in an unmarked grave, Mulford's body would eventually be taken to Oakland Cemetary in Sag Harbor, where a large stone was placed on his grave with the words, "Thoughts are Things". Mulford's book, Thoughts Are Things served as a guide to this new belief system and is still popular today.